After 17 years working in advertising and marketing, Kimberly made the decision to move to the nonprofit realm. 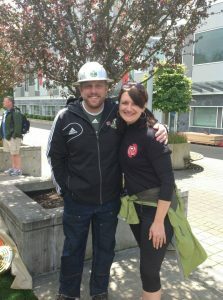 She was fortunate enough to apply her corporate sales and development skills to work at Special Olympics Oregon. 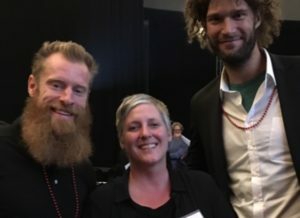 There she experienced first hand the power of sports as the vehicle for inclusion, equity, and acceptance, and she fell in love with supporting mission work. Although focused in Development, she helped grow Unified Sports in Oregon schools; a program that pairs students with and without intellectual disabilities to create a more positive learning environment. Kara Davis currently attends Portland State University and is working toward her Bachelor of Science in Accounting. 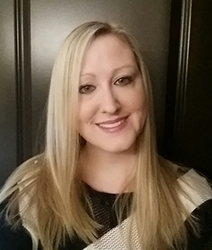 Kara has been working as a bookkeeper for 8 years and has experience in both for profit and nonprofit organizations. In addition, Kara studied Event Management at University of San Diego and has over two years experience working with nonprofit fundraising events. Kara has worked with kids as a mentor, tutor, camp counselor and nanny for over 10 years and studied child development at Portland State University. Kara has seen the difference consistency, support, and positive role models can make on the lives of youth and believes Active Children’s mission and focus can make a difference in our local communities. With experience spanning across various philanthropic focus areas and even the globe, Dee Wallace discovered while volunteering in Berenty, Madagascar, the true connection that drives her commitment in all focus areas – COMMUNITY! Whether it be environmental stewardship, the arts, education, or disease, the one thing that has always been present is community, and that the communities most impacted are those living in under-served and under-represented areas. With her experience and skills, Dee brings a passion for project management, relentless advocacy for historically marginalized and disadvantaged communities, and the zeal to successfully deliver innovative solutions to the complexities of community engagement, awareness, and funding. She also makes a mean vegetarian camping strata. Luis was born in Mexico City, and moved to the U.S when he was a kid. Luis grew up playing the beautiful game of soccer; he would not only enjoy playing in a team, but he would also love to play “street soccer” with his friends until it was dark outside. 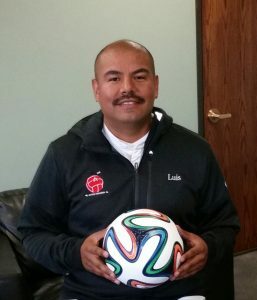 Luis has been coaching and helping our youth and our community for over 6 years, in that time he has discovered that the sense of “belonging” in a team could potentially change a kid’s future regardless of the skill level. Hardship has always been a part of his life and as he grows older he recognizes and understands the need of helping and mentoring our youth in order to avoid hardship in their lives. In his free time he still enjoys playing soccer, watching movies, and spending time with his wife and son.